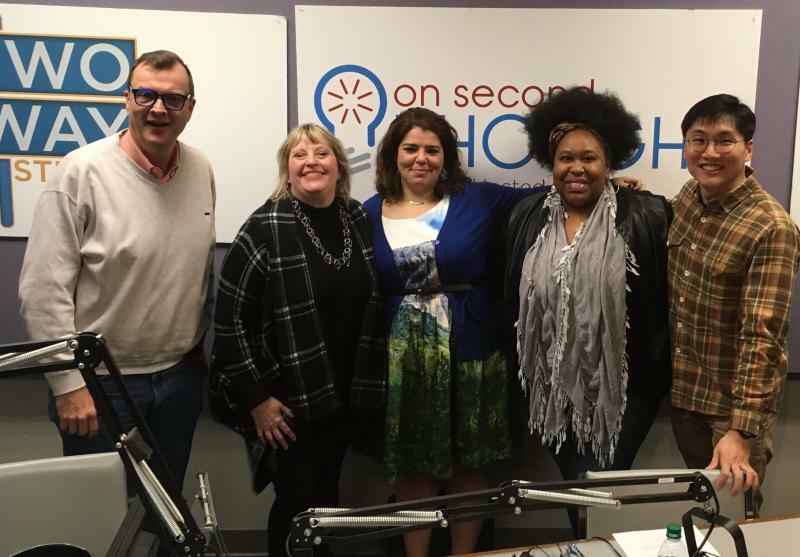 (l to r): Steve Brown, Kathy Lohr, host Celeste Headlee, Kalena Boller, and HB Cho. The Breakroom gang joined host Celeste Headlee to weigh in on the week's news. The panel included podcast host Kalena Boller, former NPR correspondent Kathy Lohr, Korea Daily reporter HB Cho, and Fayette County Commissioner Steve Brown.